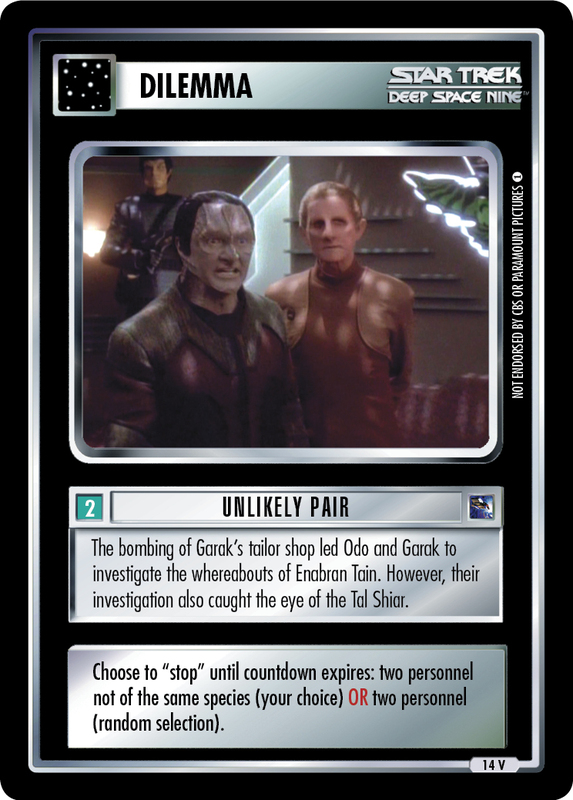 The assignment of two chiefs of security aboard Deep Space 9 inevitably muddled the chain of command. 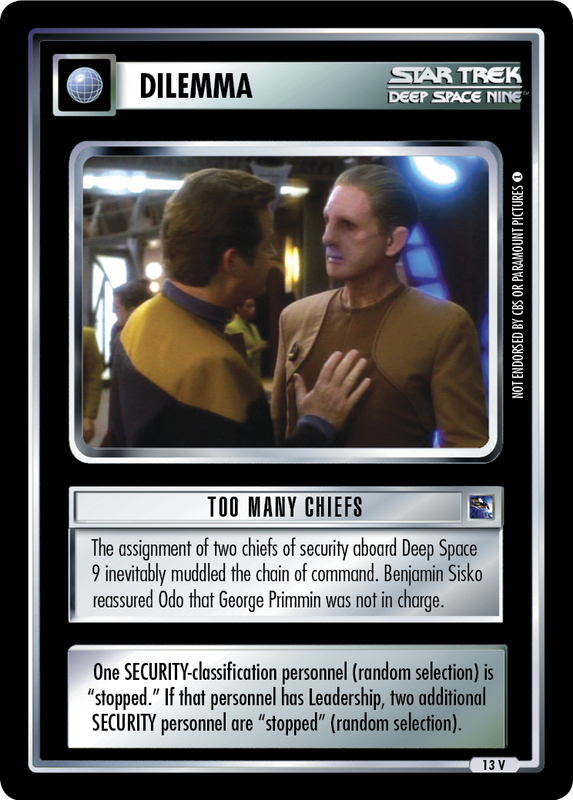 Benjamin Sisko reassured Odo that George Primmin was not in charge. One SECURITY-classification personnel (random selection) is "stopped." If that personnel has Leadership, two additional SECURITY personnel are "stopped" (random selection).